One difference between photography and other forms of graphics is that a photographer, in principle, just record a single movement in reality, with seemingly no interpretation.However, a photographer choose the field view And angle, and may also use other techniques, such as various lenses to distort the view or filters to change the colors. in recent times, digital photography has opened the way to an infinite number of fast, but strong, manipulations, even in the early day of photography, there was controversy over photographs of enacted scenes that were presented as 'real life' (especially in war photography, where it can be very difficult to record the original events). shifting the viewer's eyes ever so slightly with simple pinpricks in the negative could have a dramatic effect. The choice of the field of view can have a strong effect, effectively 'censoring out' other parts of the scene, accomplished by cropping them out or simply not including them in photograph this even touches on the philosophical question of what reality is. The human brain process information based on previous experience, making us see what we want to see or what taught to see. 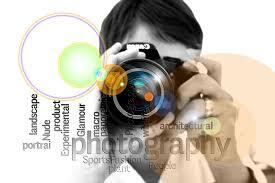 photography does the same, although the photographer interprets the scene of their viewer.